Simple library to change the Textview as rectangle, circle and square shapes by adding one line of code in xml file.Multiple features are implemented and wrapped into single textview. the above features are done through xml file. 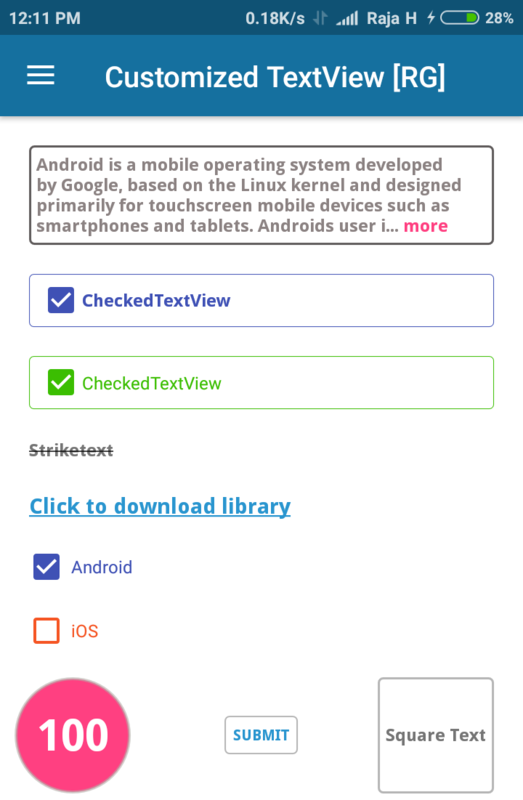 Added CheckedTextView with custom listener. Fixed the click events in various views like event in underlineText view, rectangle text.